This study conducts a mapping study to survey the landscape of health chatbots along three research questions: What illnesses are chatbots tackling? What patient competences are chatbots aimed at? Which chatbot technical enablers are of most interest in the health domain? We identify 30 articles related to health chatbots from 2014 to 2018. We analyze the selected articles qualitatively and extract a triplet <technicalEnablers, competence, illness> for each of them. This data serves to provide a first overview of chatbot-mediated behavior change on the health domain. Main insights include: nutritional disorders and neurological disorders as the main illness areas being tackled; “affect” as the human competence most pursued by chatbots to attain change behavior; and “personalization” and “consumability” as the most appreciated technical enablers. On the other hand, main limitations include lack of adherence to good practices to case-study reporting, and a deeper look at the broader sociological implications brought by this technology. Juanan Pereira declares that he has no conflict of interest. Óscar Díaz declares that he has no conflict of interest. Chung, K., and Park, R.C., Chatbot-based healthcare service with a knowledge base for cloud computing. Cluster Computing. 1–13,2018. doi: https://doi.org/10.1007/s10586-018-2334-5. Crawford, E., Bots are awesome! Humans? Not so much, https://chatbotsmagazine.com/bots-are-awesome-humans-not-so-much-7b2d62630668 . Eysenbach, G., and Group, C.-E., CONSORT-EHEALTH: Improving and standardizing evaluation reports of web-based and mobile health interventions. Journal of medical Internet research. 13(4), 2011. doi: https://doi.org/10.2196/jmir.1923 . Laranjo, L., Dunn, A. G., Tong, H. L., Kocaballi, A. 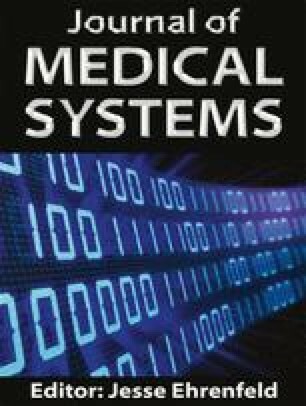 B., Chen, J., Bashir, R., Surian, D., Gallego, B., Magrabi, F., and Lau, A., Conversational agents in healthcare: A systematic review. J. Am. Med. Inform. Assoc., 2018. https://doi.org/10.1093/jamia/ocy072. Richards, D., and Caldwell, P., Improving health outcomes sooner rather than later via an interactive website virtual specialist. IEEE Journal of Biomedical and Health Informatics. 1–1, 2017. doi: https://doi.org/10.1109/JBHI.2017.2782210 . Richards, D., Caldwell, P.H. : Gamification to improve adherence to clinical treatment advice. Health literacy: Breakthroughs in research and practice: Breakthroughs in research and practice. 80, 2017. doi: https://doi.org/10.4018/978-1-5225-1928-7.ch005 .